Joe got started in the financial services industry when he was 18 years old in Buffalo, New York. He instantly became a mentor to other advisors leading him to his role as a manager at New England Financial in 2001. With this opportunity came the ability to work with Sam Terrazzino and celebrated many years of success in achieving management awards such as Top Recruiters and Builders. After 8 years with New England, he then spent two years at Penn Mutual creating one of the company’s top five first year advisors. Joe then became the Vice President of MassMutual in Washington D.C. as the first and only leader in the history of the firm to receive Management Summit and Management Council awards. While achieving this multiple years in row, he also worked on an agency level to create and deliver the firm’s training and development program, as well as acquire and retain key talent. Joe joined our firm in September of 2018. 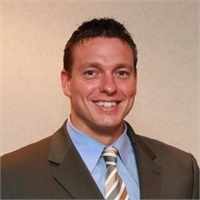 He is based out of our Buffalo office and his primary focus is the training and development of new advisors. Joe lives in Buffalo, NY, with his wife, Lynn, and their dogs Puffy, Teddy, and Bear.